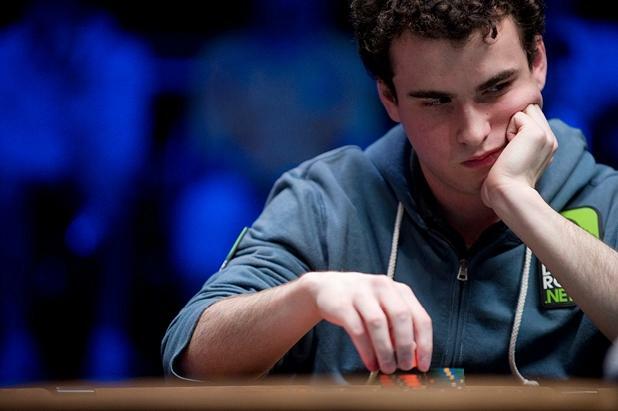 Dan Kelly was definitely one of the big stories at last year’s WSOP, cashing eight times in Vegas, making two final tables, and finishing in the top 20 of seven different events. Unfortunately, many people will soon forget Kelly’s performance because he failed to win a gold bracelet. The 25-year-old from Maryland won’t have that problem this year, though, since he took down the Event #43 $1,500 Limit Hold’em tourney. Kelly topped a 657-player field to win his second-career gold bracelet along with $195,167. The end was especially tough since he had to survive a final table that included Brandon Shack-Harris (3rd, $78,335), David Chiu (6th, $32,338) and Jeff Lisandro (7th, $24,683). After the hard-fought victory, Kelly said that this bracelet was “pretty cool” since it broke his streak of close calls from last year. But it still doesn’t measure up to his very first WSOP victory from seven years ago, when he won a $25k Six-Handed NLHE tournament and $1,315,518. Jordan Morgan won his first gold bracelet and $478,012 by beating out a field of 1,914 players in this $1,500 NLHE tournament. And nobody will ever accuse him of not earning the victory – especially after the grueling six-hour heads-up match he played against Evan McNiff ($295,727). The tournament was actually only scheduled to last three days. But with both players still nearly even in chips after several hours of heads-up play, WSOP organizers decided to have Morgan and McNiff come back the next morning. Morgan was definitely thankful for the break because he admitted that his opponent was outplaying him at one point. The 11-hour break gave the 30-year-old plenty of time to rest and come back with a new strategy. Besides winning his first bracelet, another thing that made this victory sweet for Morgan is that it was his ninth wedding anniversary. His wife was watching Morgan’s victorious Event #44 run from their home in Oklahoma. “I think I might fly home for a day and then come back and start playing some more,” he said of his anniversary plans. Will Givens must have felt like he was Bill Murray in the 1993 movie Groundhog Day. A little over one week after he took fourth place in the Event #33 $1,000 NLHE tournament ($84,680), Givens found himself on the Event #45 $1k NLHE final table. And this time, he closed the deal by beating 1,840 opponents to win his first bracelet and $306,634. “We broke down, (then on Day 3) I was in the exact same seat that I was in when we were down to two tables – 450, seat 3,” Givens said of his déjà vu moment. “That’s when I was like, ‘this is destiny.’ I couldn’t believe I was here and it was a repeat. Except this time I won.” The Denver poker pro explained that he went back and looked at some of his leaks from the fourth-place finish and this really helped him win the second time around.